The Felt Edict is a nod towards new-school XC from the brand that chases speed. Speed could replace Felt’s namesake and still pay homage to their heritage and will probably be just as fitting. Jim Felt started off by tinkering with some of the world’s fastest motorcycles from brands such as Honda, Suzuki, Yamaha and Kawasaki. It seems fitting that his first foray into push bikes came through the development of a speed hungry triathlon bike. Fast forward a few years and keep the name and desire for speed and you have Felt’s line-up of today. Ranging from World Championship winning cyclocross bikes to road bikes and today’s test bike, the Edict. The pedigree of the Edict is hard to question having gained a bronze medal at the Cairns World Cross Country Championships in 2017 with Thomas Litscher. To tame that technical beast, the rider would need a bike that was as fast as it was robust and capable. Thomas was riding the company’s top model Edict with 100mm of suspension, but today’s test model has 120mm upfront to match the 100mm rear, plus 2-bolt ISCG mounts and internal dropper compatibility which all hints that this one may be even more capable than Thomas’s. The model on test is the Felt Edict 3, which sits third in line out of four models. The top of the range is the Edict FRD, which features Felt’s UHC Ultimate + TeXtreme Carbon frame while the Edict 1 and below features the more cost effective UHC Advanced Carbon frame. The Edicts are Felt’s cross country specific models, though the Edict 3 has been built for those wanting a bit more capability while descending compared to a well-rounded XC rig that can climb just as well as it can descend. Felt claim a frame weight of 1925g with shock for the FRD, but 2125g for the frame on the model tested here. The ‘3’ sees a bump up to 120mm of front suspension over the 100mm of the first two models as well as a glossy red paint job. The forks are really the standout difference as the rest of the components are in a similar vein to the first two models though are a step or two down from the top of the range parts on the FRD. 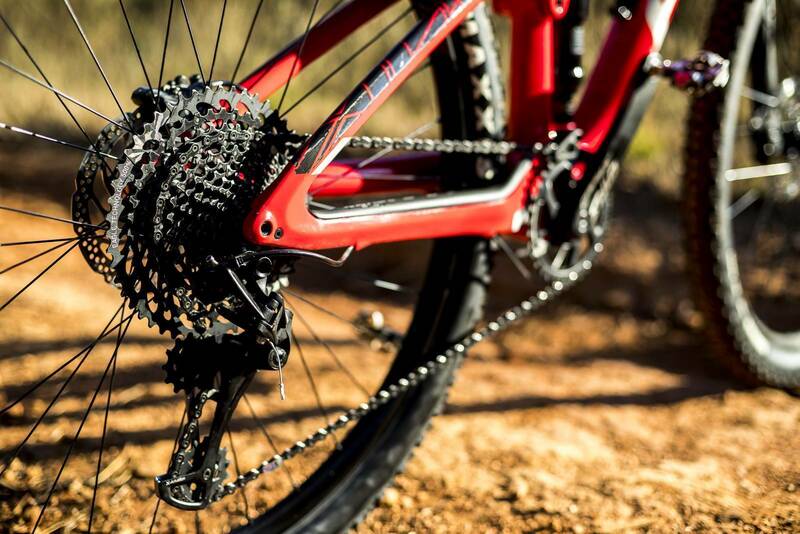 The drivetrain comes from SRAM with their GX Eagle 1x12 group set with a 34t front chain ring. An ISCG OneUp chain guide gives an extra bit of security up front to keep the chain on in those high-pressure situations, which is good to see. The wheels feature boost spacing both front and rear and are wrapped in Maxxis Ardent tyres in 2.25”. This is a very aggressive tyre for an XC bike and points to the Edict 3’s descending capabilities. The centrelock brake rotors are stopped by Shimano MT-500 brakes with a big 180mm rotor on the front and 160mm rotors on the rear. Most of the remaining finishing parts are also entry level parts and are all draped over the Edict’s carbon frame. The smaller details are most likely glossed over at first glance as the gigantic bottom bracket area really draws the eyes. The solid chunk of carbon stretches from the bottom of the rear shock to the exit ports of the internally routed cables underneath. It is quite impressive and really hints at, or rather screams, stiffness! Coming off the chunky BB is the one-piece rear triangle that utilises Felt’s FAST (Felt Active Stay Technology). The system forgoes a rear pivot and instead uses leaf-spring seat stays to supply the rear flex and is said to increase pedalling efficiency and maintain traction and control while still being very light. Another interesting detail of the FAST system is that the rear shock is ‘moulded in sag’ which means it’s natural position is only achieved once the rider is actually on the bike. This is again designed to maximise pedalling efficiency and traction. The biggest feature of the Edict is found ‘under the hood’. Felt set out to create a bike with a modern XC geometry. Meaning slacker head angles, longer reach and short chain stays for quick handling. This is true for the top two models, though things are slightly different for the ‘3’ as the 120mm fork slackens the head angle from 70 to 69. Another change is that the reach is reduced from 429mm on the top two models to 419mm on the Edict 3, along with a few other differences. A traditional XC bike like the top of the range Edict or any number of other XC specific bikes tend to be good across the board. They climb well, descend well and are comfortable enough for long rides. Some are tweaked to be a little better at either climbing or descending but they generally all throw out ballpark geometry figures. The more ‘capable’ XC geometry of the Edict 3 caused by the 120mm forks really pushes the model into the ‘descending well’ end of the ballpark. It is still an XC bike though, so my test route which I did a few times takes in a wide range of typical XC terrain. 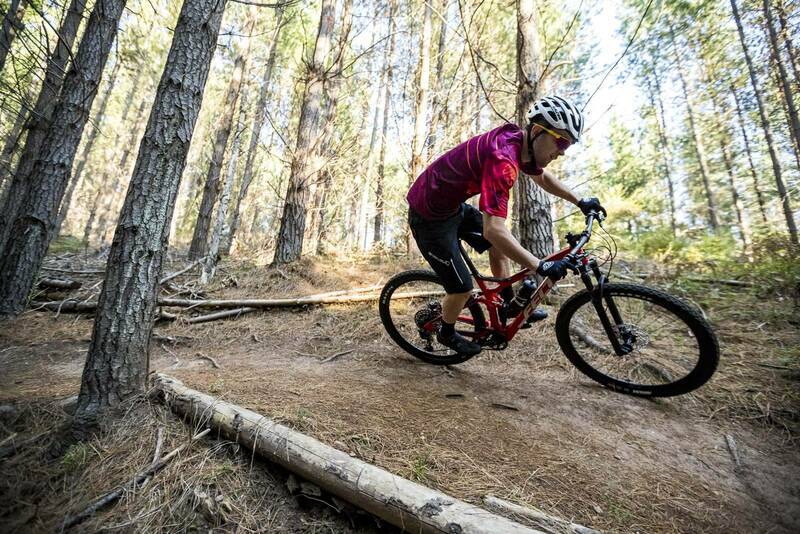 It starts with flowing river trails that are mostly flat and fast, then moves to lower climbing trails with gentle gradients but still some tricky sections both up and down. Then it moves to the full-on steep climbs and steep descents, which all add up to provide a good balance. 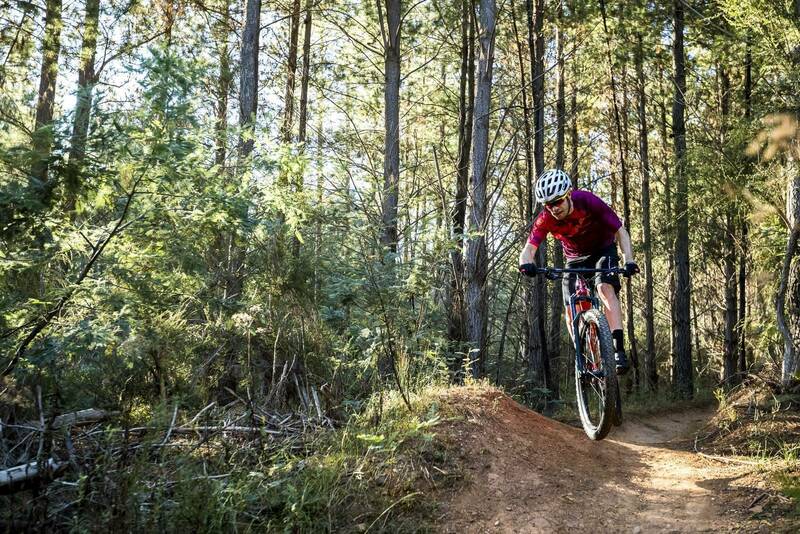 The flowing but flatter river trails provided a good test to see how comfortable the Edict would be for longer rides. The short reach and slack head angle puts your hands and upper body in a very relaxed position, which is a stark contrast to the usual super aggressive positioning of most XC bikes. Even on these gentle gradients of the rolling river trails you could feel the stiffness provided by the massive bottom bracket area. 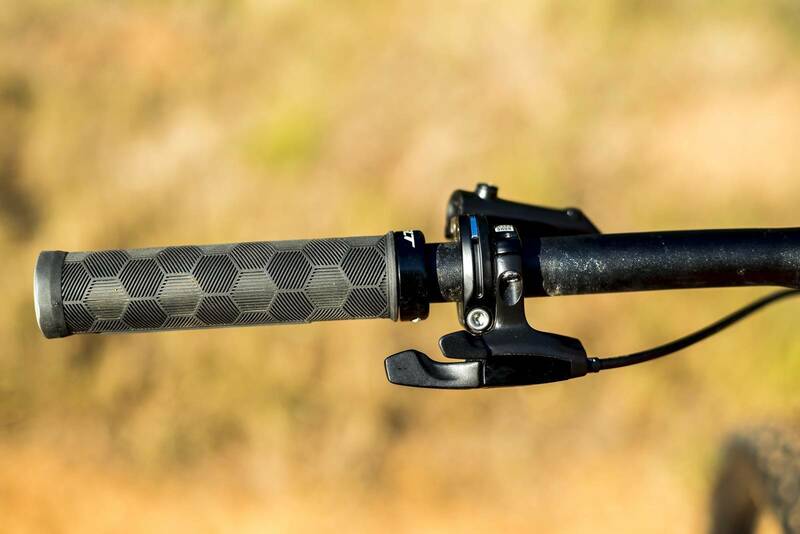 The FAST pedalling platform also showed itself to be a comfortable and efficient system with only the smallest amount of pedal bob noticeable when the RockShox Deluxe shock was in open mode. Next up was the gentle climbing and descending trails with a good mix of slow and fast corners. The weight of the lower spec components did start to show themselves as the gradient increased, though the stiffness provided by the large bottom bracket area did convert the power into forward momentum well. The FAST suspension system no doubt added to this along with the RockShox Deluxe rear shock. 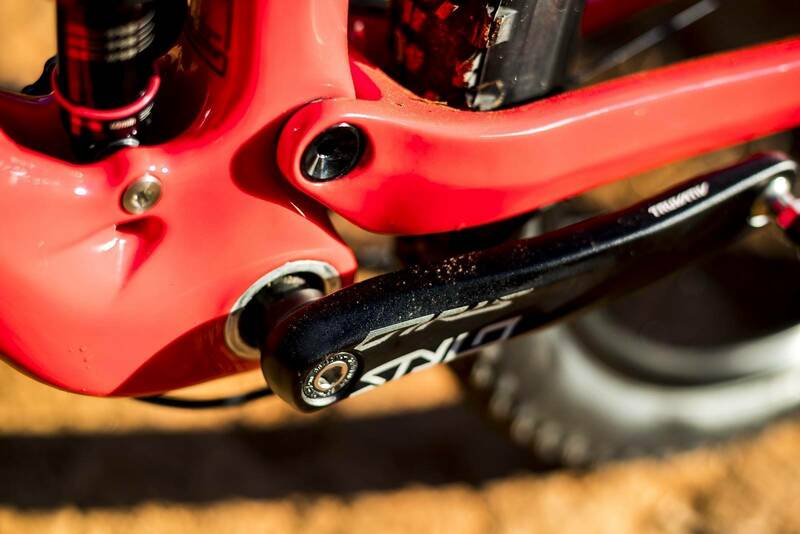 The shock has both ‘open’ and ‘pedal’ modes that are changed via a lever on the shock with the pedal mode stiffening things up but still remaining active, so not locking it out completely. For the majority of the test, I left it in open and didn’t feel like I needed to make the switch aside from a few road climbs where I wanted to be out of the saddle. The RockShox Reba fork comes with a remote lockout lever, which did help when I wanted to make some fast sprinting efforts without the bob through the fork. The cornering on the gentler gradients was relaxed and manageable. It also felt very sure-footed in the corners compared to a full-blown XC bike, though this did mean it wasn’t as nimble. The heavy wheels along with the relaxed geometry most likely worked together in this regard. On the steeper trails it was that little bit less nimble and more laboured, though not nearly as much as a larger dedicated trail bike would feel. The slacker head angle of 69 did let me ‘carve’ uphill switchbacks very well, and I can see the benefits of the mellower angles. Though on small uphill ‘steps’, like rocks, the short reach and slack head angle combined to put my body position too far back and didn’t allow me to get over the front of the bike enough to comfortably tackle those sections. The reach can be addressed a little via stem length, but that has more to do with your fit. These ‘negative’ points shouldn’t come as much surprise though as I mentioned this form of the Edict has been geared towards descending capably, not being a complete rocket ship up the climbs. So, let’s descend! The first descent was a typical XC trail with a good mix of steep sections, fast and slow corners and technical sections. The rougher sections certainly highlighted the capabilities of the Edict 3 and especially the 120mm forks and 2.25” Maxxis Ardent tyres. A typical XC bike would be a lot twitchier but the bulkier build of the Edict kept it sure-footed and stable. Another factor keeping the Edict planted, especially through the front end, is the head tube stiffness, which is said by Felt to have a 24% increase in stiffness over the previous generation Edict. I’m not sure on the numbers having not ridden the previous bike, though it did feel very direct through the front, which is welcome when things start getting steep and rough. Speaking of the front end does lead to the reach. 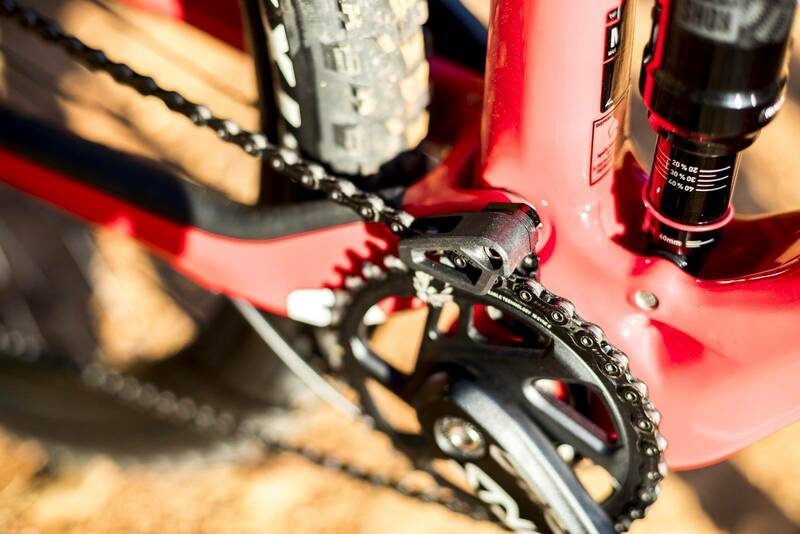 At 419mm it is 10mm shorter than the 429mm of the top XC Edict with the 100mm forks. 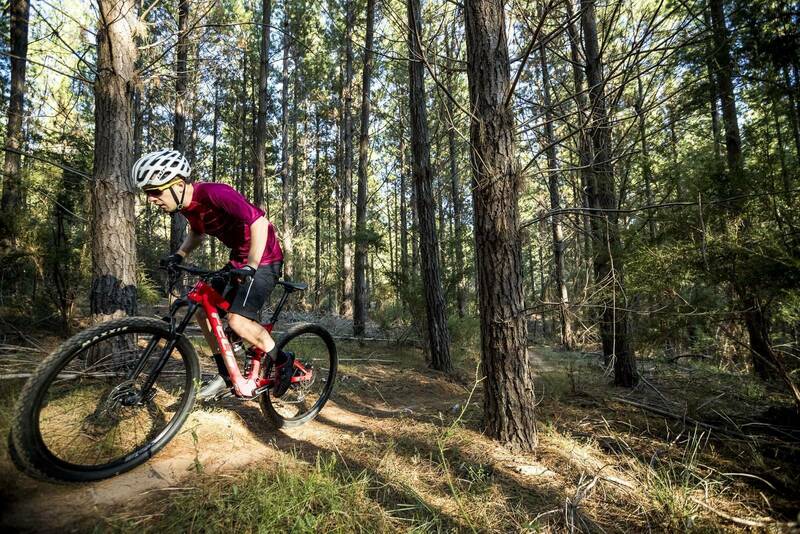 Most dedicated XC bikes from other manufacturers sit around the 425-435mm range. 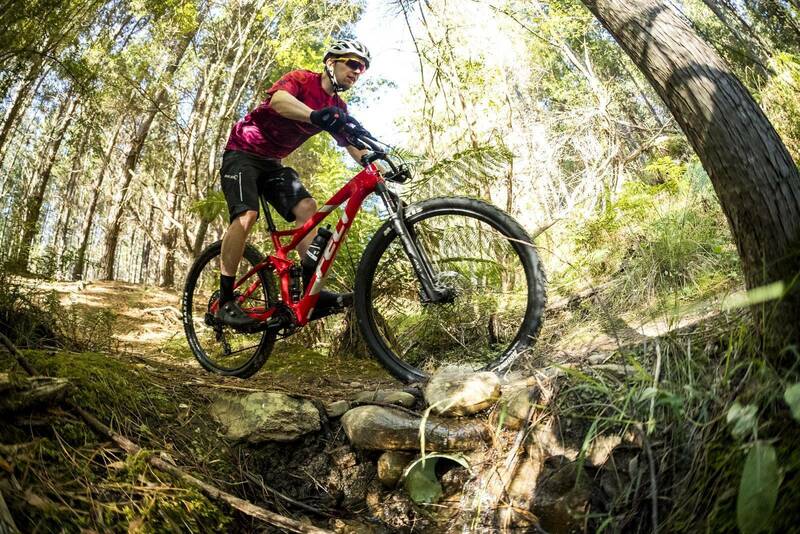 With its ‘capable’ tagline it makes sense for the Edict 3 to have a shorter reach and aim to put the rider further behind the bike on steep sections. I did feel I was further behind the bike and did feel more confident when it got steep though I felt too cramped when I was attacking some sections. I have had trail bikes in the past that have felt the same with slack head angles and a super short reach, which feel great on the super steep sections in a straight line but not so much anywhere else and do lack the real estate to move around and the leverage to manoeuvre the front. I do prefer my bikes to have a longer front-end, so it can come down to personal preference, though I do feel an increase in reach and front centre, distance between the bottom bracket and front axle, would partner well with the slack 69 head angle to still make the Edict 3 capable but also more stable and manoeuvrable on a wider range of trails. Another odd choice for the more capable Edict build was the Shimano MT500 brakes, which seemed a bit overwhelmed when the going got steep and a bump up to an XT or trail variant brake would help control the speed better. 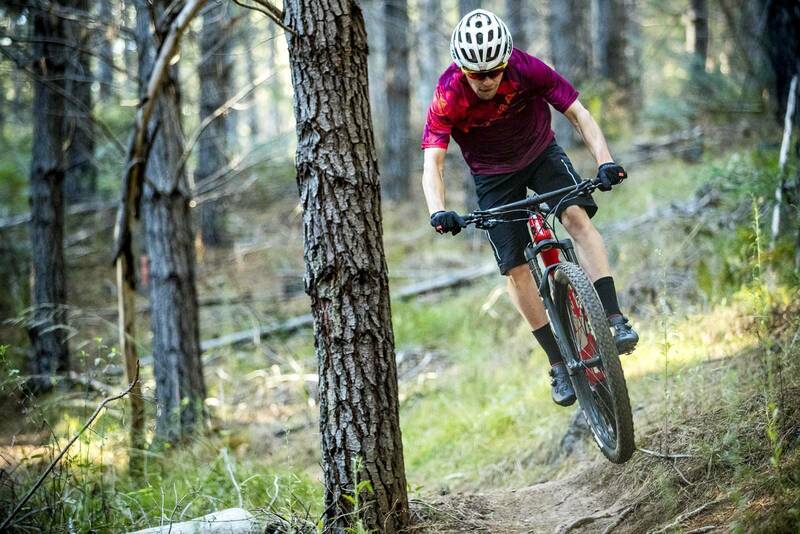 My test occurred around the weekend of the Downhill National Champs in Bright and I was lucky enough to get out on the track on the Monday after to test the Edict on the lower section. This section was fast with big holes and deep powder left over from the racing and was one of the key tracks where the Edict 3 felt at home. The slack head angle meant I was not too far over the front axle in the big holes and small drops and the 120mm forks kept the front-end riding high, even with repeat compressions. I was really able to attack the section and appreciated the stiffness of the Edict’s frame from the head tube to the bottom bracket. Pushing the Edict through this style of trail gave me a better understanding of the capabilities of the Edict 3. I wasn’t sure what to expect of the Edict 3 coming into this test. Was it going to be an XC bike with 120mm forks or a short travel trail bike? I think at this point I would have to sit on the fence and go with both. It combines the efficiency of an XC platform with enough capability of a trail bike to make it a very well-rounded ‘mountain bike’. The reach is a bit of a problem for me personally in classing it more of an XC race bike but its capabilities in descending make up for this. 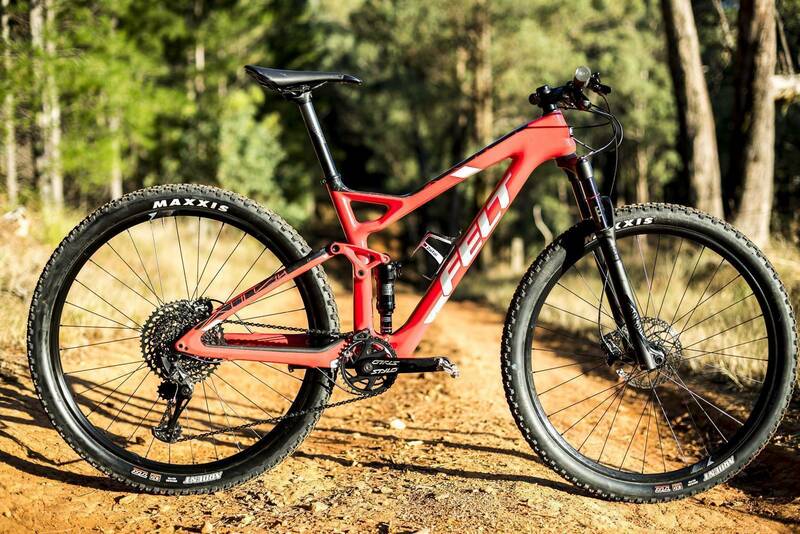 I can see the Edict 3 being a great choice for those who like efficiency when climbing up to their local gravity trails and don’t want to make the jump up to a bulkier trail bike. It would also be a great choice for beginner riders also or riders developing skills to enable them to tackle tougher XC tracks than they otherwise wouldn’t on a traditional XC bike. If you're about all out XC performance, look further up the range, or consider having the fork dropped to 100mm and tune the parts kit with your Felt dealer.